This is today’s card from my featured stamp set of the week, Amazing You. It’s just one of the many Level 1 choices you have from the Sale-a-Bration Catty this year. The stamp set has been paired with some of the Pretty Pine Thinlets and a stamp from the Timeless Textures (my new Gorgeous Grunge now that it’s retired). 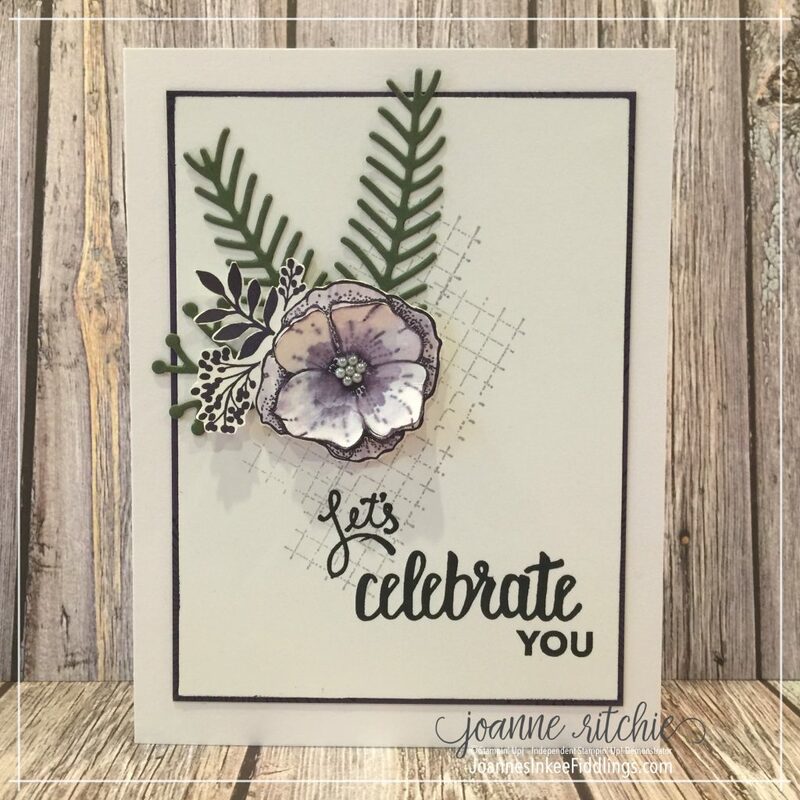 As of today, the 2018 Occasions Catalog and the 2018 Sale-A-Bration Catalog are live… woot woot! Sale-A-Bration (SAB) is a tad different this year. There’s still for every $60 spent to choose something from the SAB Catty (this is now referred to as Level 1), but this year there’s a Level 2 for when you spend $120. This allows you the opportunity to choose from an additional two items. If you spend $60, you get one free Level 1 product. If you spend $120, you get one free Level 2 product, OR, you can choose two Level 1 items. If you spend $180, you have the option to choose three Level 1 items or one Level 1 item and one Level 2 item. And so on, and so forth! Links to both the Occasions Catalog and the Sale-A-Bration are just over to the right.